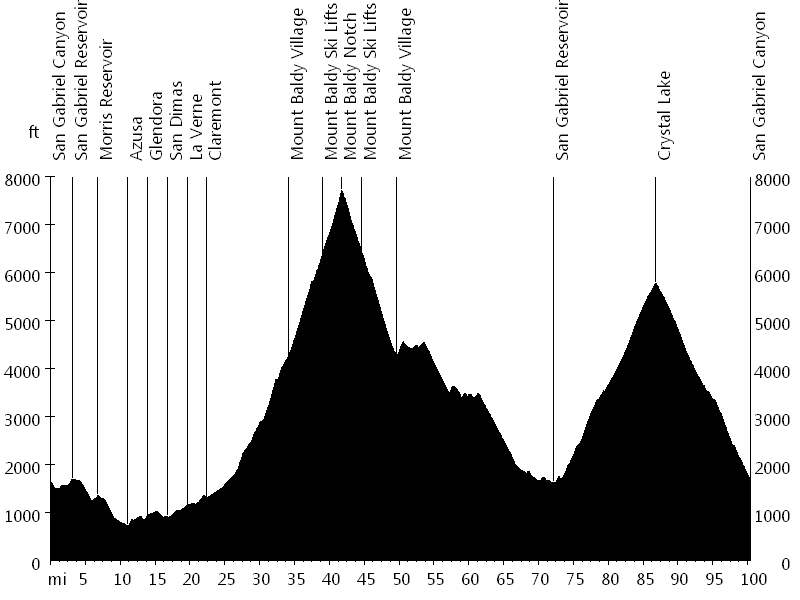 This multi-surface ride is a variation of the Mount Baldy and Islip Saddle century and of the Dawson Saddle and Mount Baldy super century. 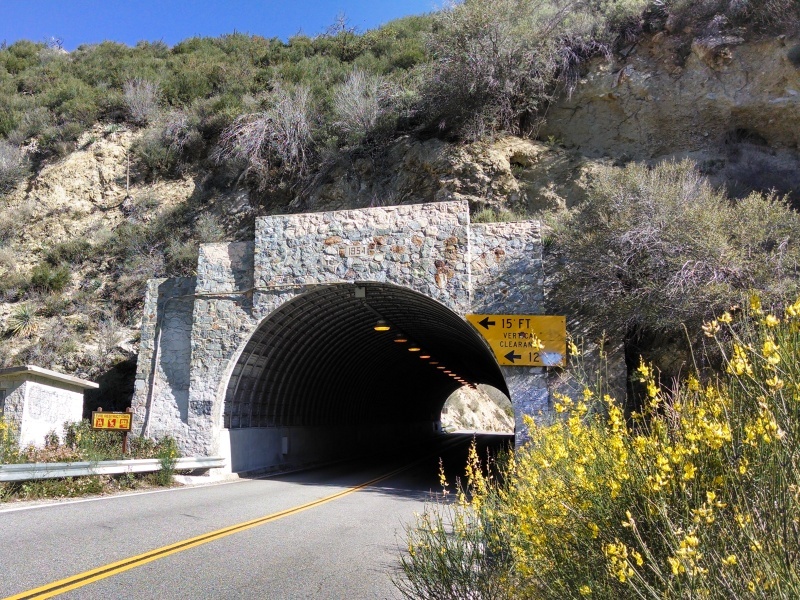 It starts above San Gabriel Reservoir and initially leads down to Azusa. Sierra Madre Avenue, Foothill Boulevard, and Base Line Road head east to the bottom of the first major climb. 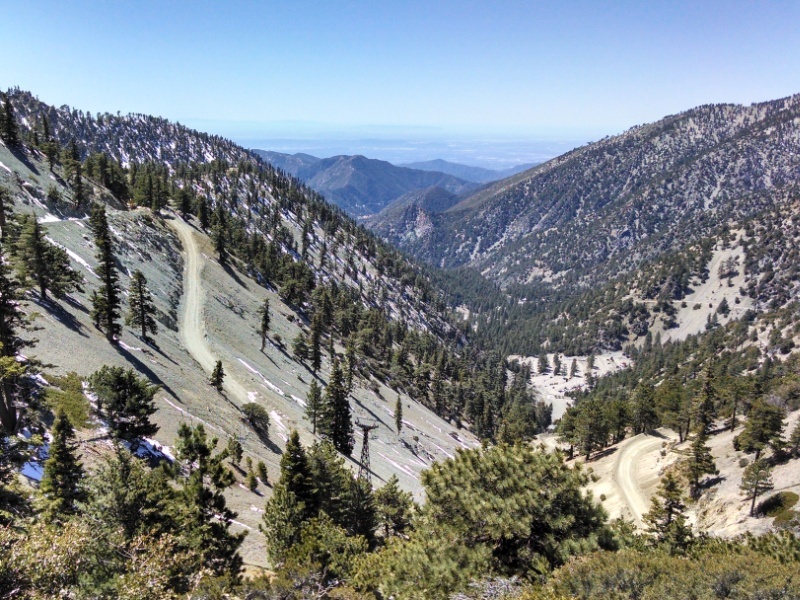 Mount Baldy Road is the toughest ascent to Mount Baldy. 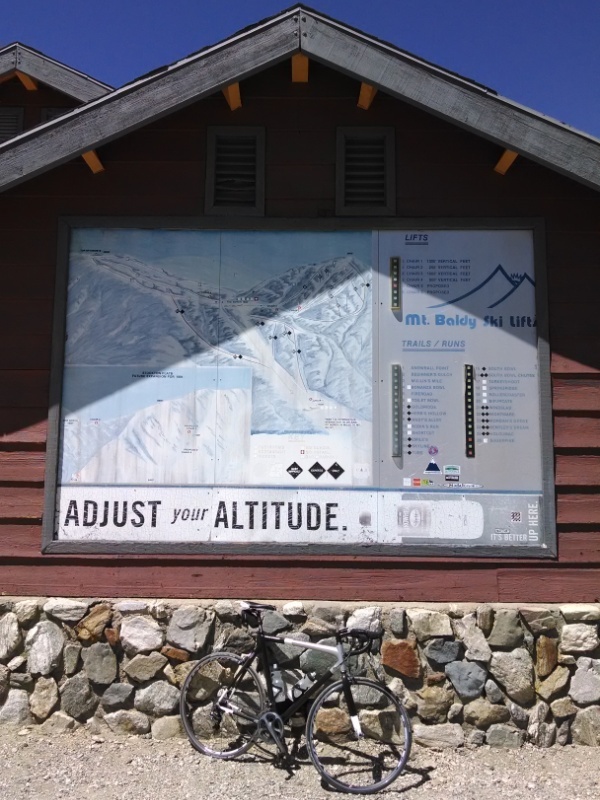 The first seven miles lead to Mount Baldy Village and the next five miles to the ski lifts. 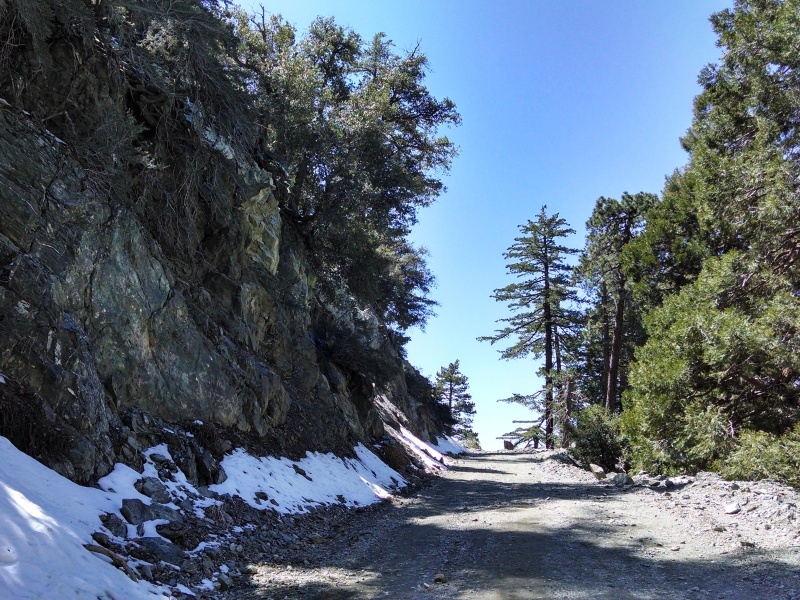 Below the parking lot on the left (where the road is split), Mount Baldy Road continues on as a dirt road for 3.6 miles to Mount Baldy Notch, gaining 1,700 feet in elevation. 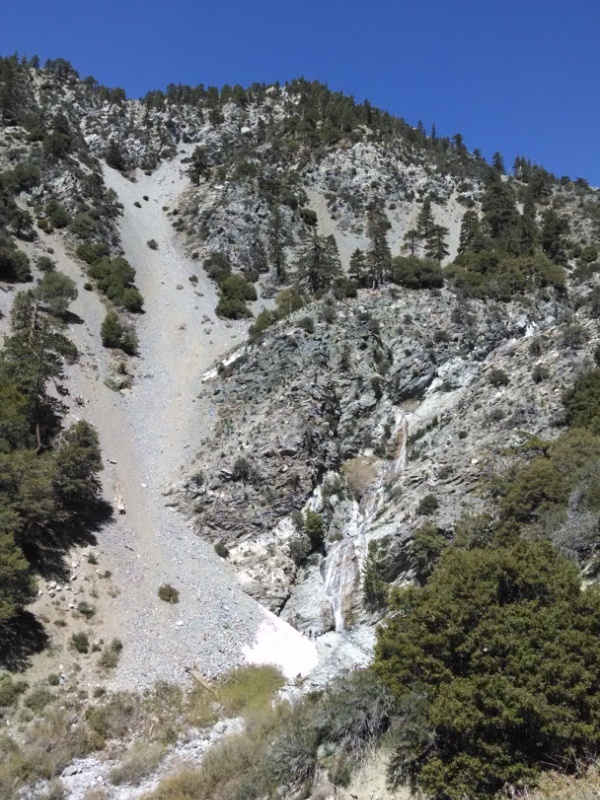 With 6,784 feet of elevation gain, Mount Baldy Notch is the #1 climb in California. The dirt road is rideable on a regular road bike. 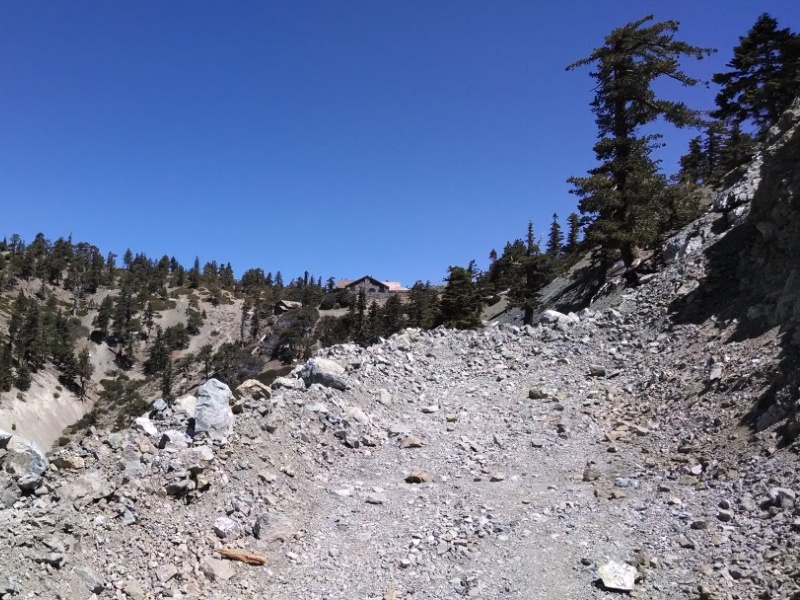 At the top, a short section of road is wiped out by a landslide, but it can be avoided by turning right instead of left at the road fork at Miners Bowl. 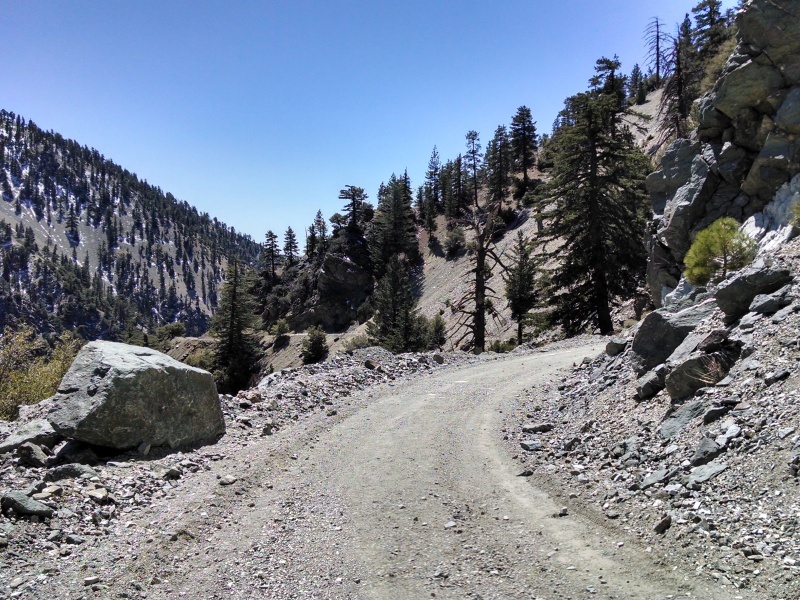 On the descent, Glendora Ridge Road, Glendora Mountain Road, and East Fork Road head to the bottom of the second major climb. 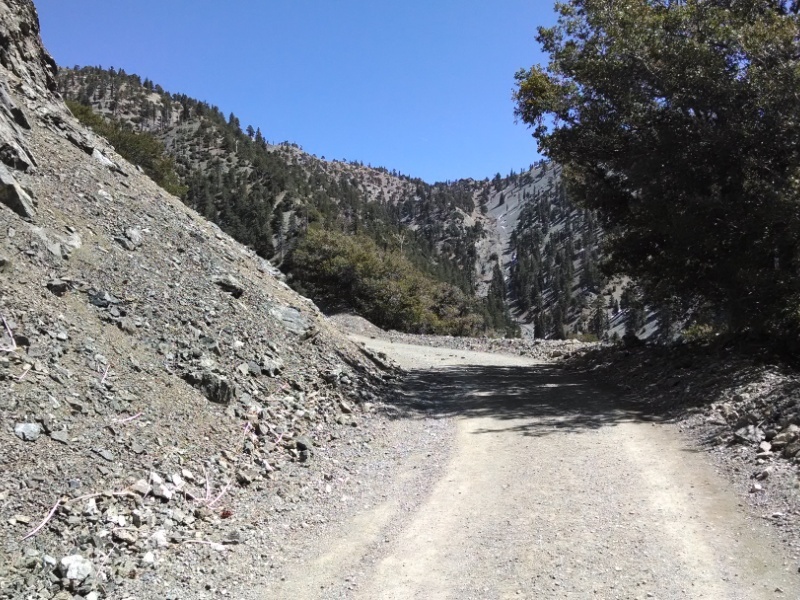 San Gabriel Canyon Road and Crystal Lake Road lead up to Crystal Lake, from where the route drops back down to the start. With Sandra out-of-town and none of my riding partners available for an all-day ride, I decided to go for an epic solo. 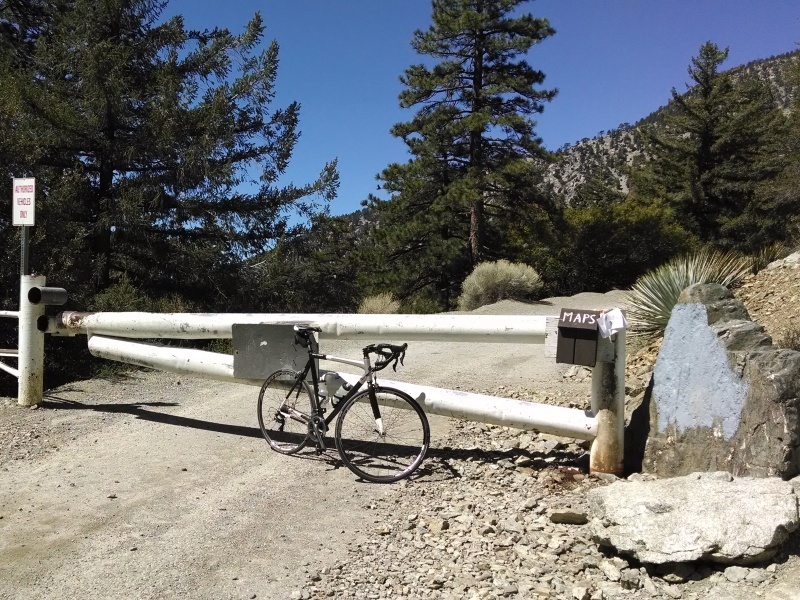 I started at the parking lot above San Gabriel Reservoir (National Forest Adventure Pass required), so I could ride down to Azusa in the morning when there is no traffic. 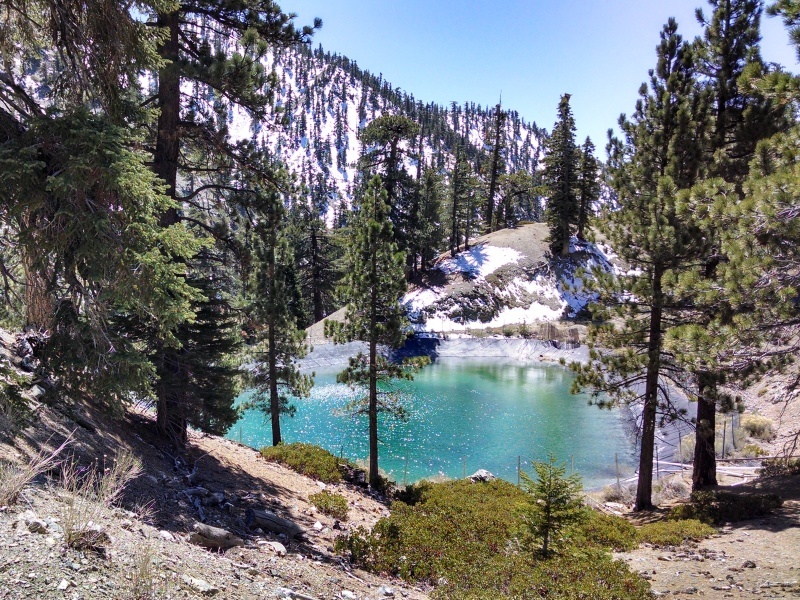 It also allowed me to pass by my car later in the day to refill supplies before starting the Crystal Lake climb. 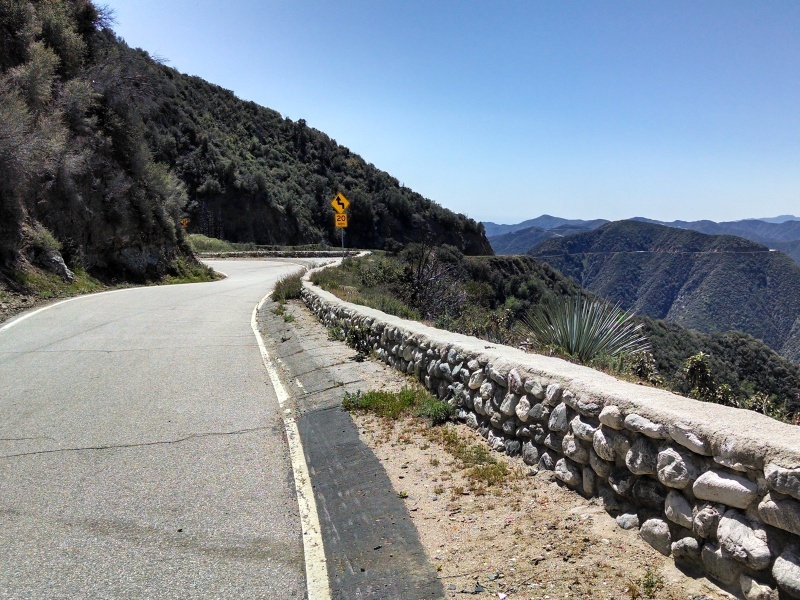 Later in the year, when Angeles Crest Highway is open and the days are longer, it will be possible to ride all the way to Dawson Saddle instead of Crystal Lake, combining the #1 and #2 climb in a single ride. The distance is approximately 118 miles with 15,500 feet of climbing, of which 7 miles and 1,700 feet of climbing are on dirt.